Blue Cattle Truck is at it again! They have done the impossible...improved on nature itself. They blended the best vanilla on the planet with sweet honey from the high mountains and valleys of Utah. You'll never look at honey the same way again! 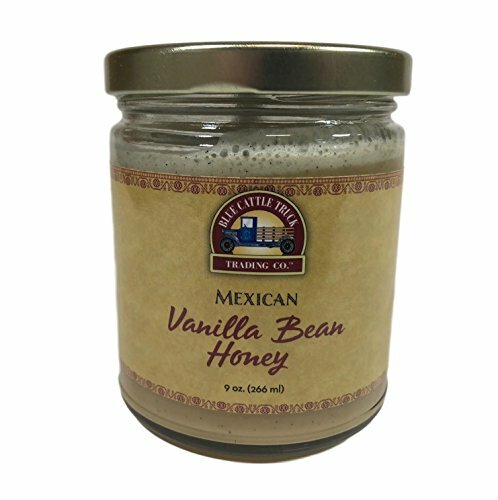 A blend of Mexican Vanilla and Sweet Utah Honey. Perfect for Toast, Scones, Cornbread and Peanut Butter Sandwiches. Absolutely Delicious in Coffee, Tea and Smoothies. Ingredients: Honey, Mexican Vanilla Extract, Vanilla Paste, Vanilla Bean. Manufacturer: Blue Cattle Trucking Co. Publisher: Blue Cattle Trucking Co. Studio: Blue Cattle Trucking Co.